The photos we take, share and treasure tell the story of Mizzou. 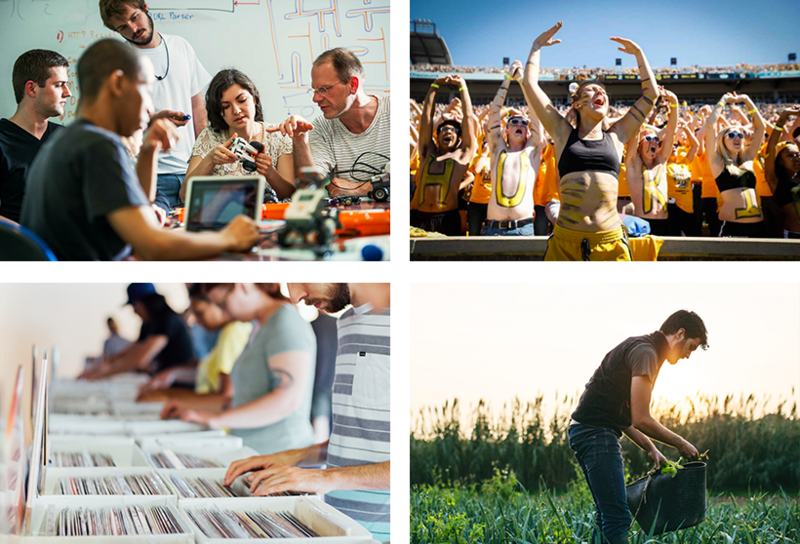 At the University of Missouri we value and respect our photos, our photographers and the subjects that bring our images to life. Before embarking on a photo project, take time to review the university’s standards, guidelines and expectations. Browse our image library. The people—whether students, faculty or staff—make Mizzou, Mizzou. Using natural light to capture authentic personalities and individuals engaged in the moment will be more successful in bringing the Mizzou brand to life than forced smiles and unnatural poses. Having a campus that’s considered “one of the most beautiful” in the country should make for easy source material. Featuring the quad, the Columns, Tiger Plaza, and more is encouraged—just make sure to have some dynamic element (like elevated views, unique framing, or close crops of details) to add some visual interest and excitement. Images of landscapes can be used to speak to the actual varied landscape of Missouri. They can also be used to relate to subject matter and serve as device for texture when some visual interest may be needed. Clear, honest and accurate communication with readers is what the University of Missouri seeks to achieve through photography. Our goal is to produce images that are credible, believable and genuine. DO use standard digital darkroom techniques to adjust photos for final output. This includes color and tonal correction, dodging/burning and cropping. DO NOT alter photos from the reality the photos represent. This includes swapping bodies and/or heads of people pictured and removing buildings, signs or markers that would create confusion if the photo was used to reference a specific location. Additional photo editing guidelines for news and marketing publications can be found below. Photos used to illustrate stories and campus events in periodicals, websites and social media should not be manipulated beyond the traditional photographic techniques of lens selection, cropping, dodging/burning, color toning and enhancement. The content, positions and appearance of persons and objects should never be changed or manipulated. Technical touch up for the purposes of color balance and removal of minor blemishes to achieve better reproduction is acceptable. Digital tools may be used to diminish visual elements, but should never be used to eliminate those elements entirely. How might the meaning of the photo change if it were altered? Who benefits if the image were altered? Would the photojournalist be comfortable telling a reader how the image was altered? Photos used to advertise and market an institution can present unique challenges to photographic journalism. Frequently, art directors are involved in creating the images to fit into specific layouts, match a color palette or ensure a uniform artistic style. The purpose of this type of photography is to put the institution in a good light to appeal to a target audience. In such instances, photo sessions are sometimes staged to show a particular location with subjects participating in academic or social situations. Artificial lighting is sometimes used to enhance color and composition, and typographical considerations often factor into photo composition. Even if a photograph is a set-up situation, the broad guidelines of accuracy and authenticity should be the basis of these images. Actual Mizzou students must be portrayed in situations that are fair and accurate representations of real life. While the manipulation of the setting, clothing or groupings may occur as the image is being made, it is still wise to follow a basic rule of prohibiting digital manipulation in the post-production. If artistic, graphic or composition requirements suggest the need to digitally manipulate an image for marketing purposes, photographers, designers and editors should convene face-to-face to discuss the ramifications before any alteration occurs. When shooting indoors, try to use indirect window light. Avoid using a flash, which can cause red-eyes and shadows. When shooting outdoors, open shade or an overcast day is best for avoiding shadows. Place the subject in front of a nondescript background, several feet away from what is behind him. Be conscious of distracting backgrounds — poles or utility wires — that can clutter your frame. Avoid centering your subject, which can result in a boring photo. Rather, keep in mind the rule of thirds. Imagine the frame divided equally into nine parts by two horizontal lines and two vertical lines. 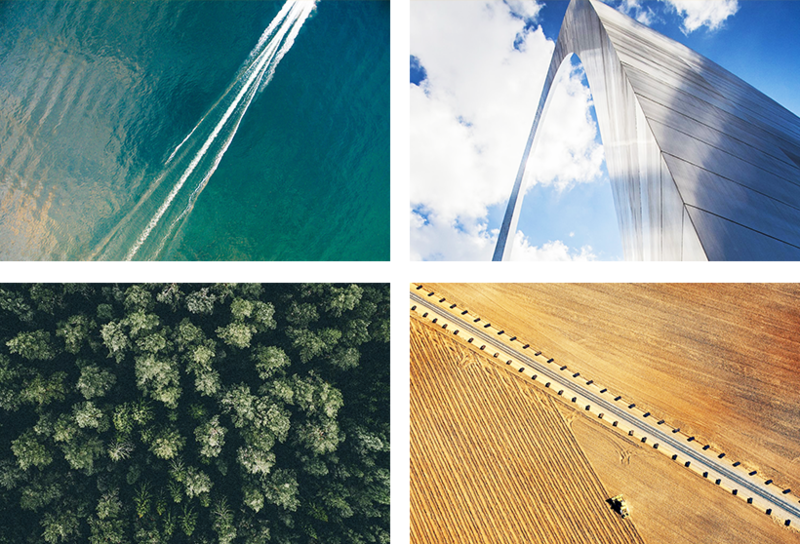 Place your subject on one of these lines or at an intersection of these lines to take a more dynamic photo. You can’t use photos without permission. Many photos are copyrighted, and you need permission to use them unless you know for sure that an image is in the public domain. 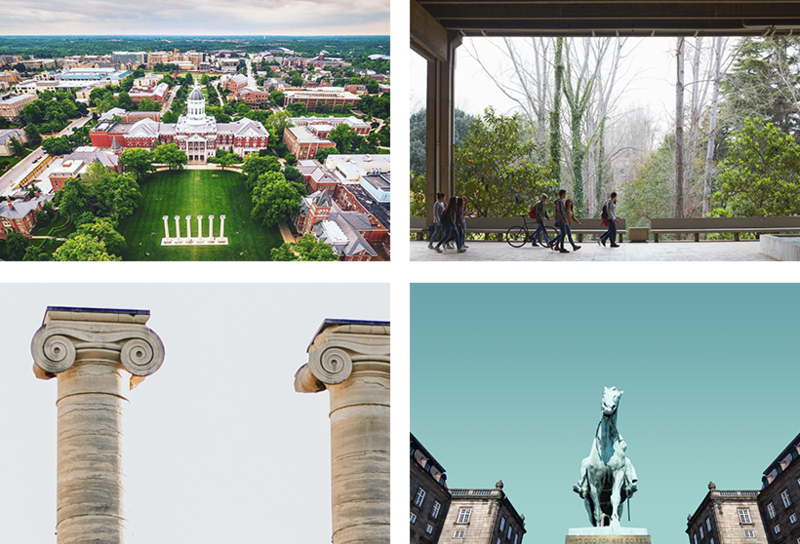 All University of Missouri photographs are protected by copyright. Photo credits (usually the photographer’s name and/or organizational affiliation) generally appear in print pieces, either at the end of the publication or under the bottom right of the photo in small type. If space and design allow, credits also may appear on Web pages. University of Missouri photographers and videographers must obtain a signed release form from any person appearing in a photo to be used by the university for publications, marketing materials, websites or any other communications. No photo, video, audio recording or other multimedia project may be published, posted online or shared publicly without the express written consent of all participants. Publication of private embarrassing facts. Publicly placing one in a false light. In addition, federal statutes govern the release or publication of personal information. Web editors should be aware of the Family Educational Rights and Privacy Act (FERPA) and the Health Insurance Portability and Accountability Act (HIPAA). MU communications professionals sharing any information about students or “educational records” must understand and comply with FERPA. FERPA protects the privacy of the “educational records” of current and former students. MU communications professionals sharing any individual health-related information must understand and comply with provisions of the Health Insurance Portability and Accountability Act (HIPAA).